Safe Deep Cleaning With No Wetness and No Downtime. For clean and dry upholstery that looks it’s best every day! 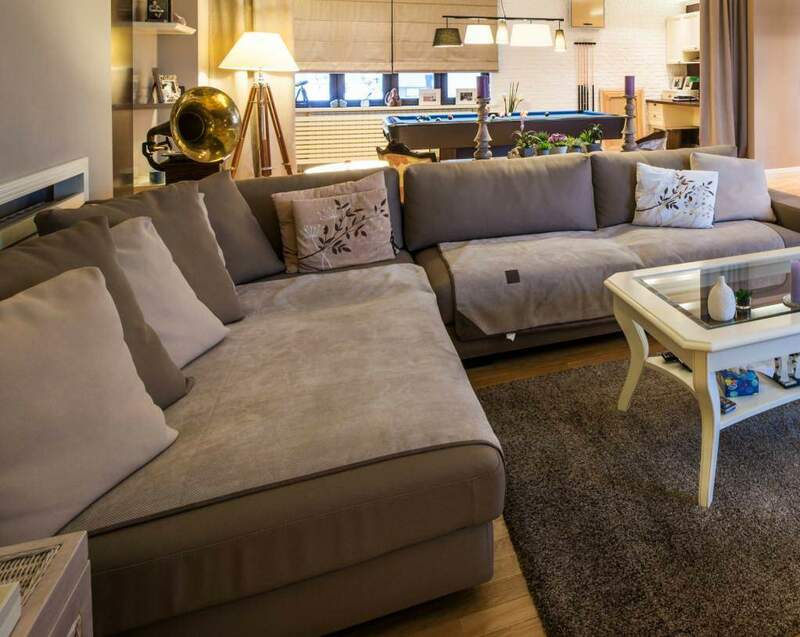 Ecodry Carpet Cleaning is your trusted source for the safest and most effective Las Vegas upholstery cleaning services. With the exclusive Airdex Upholstery Cleaning System the cleaning can be routine and not a special project because with most fabrics, your furniture will be back in service within 30 minutes. View our prices. What Makes Aridex Cleaning Better? Aridex dissolves, emulsifies and encapsulates dirt with the use of it's rotary power head. This all-natural encapsulating detergent is mixed with air to create unique low moisture cleaning bubbles that engulf dirt particles. 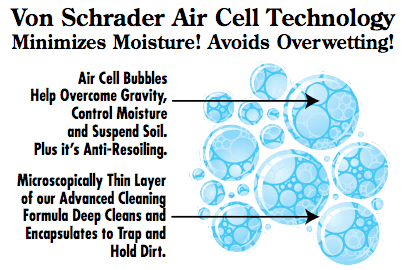 Von Schrader Genuine Advanced Air Cell Cleaning - A patented cleaning solution that thoroughly cleans deep into each upholstery fabric and extracts all the soil in just on pass. It introduces a new way of cleaning by minimizing moisture and over-wetting by encapsulates dirt by applying dirt-emulsifying microscopic cleaning bubbles. These bubbles flow through the layers of fabric pulling in dirt and then floats back up and out of the fabric via the Aridex machine. Using air cell extraction for moisture control - not gallons of hot water! Afraid To Have It Cleaned? ECO doesn't mean it's not effective like harsh chemicals. Our ECO products gives you the best clean while being gentle and environmental friendly. It doesn't get any better than this, your upholstery cleaning Las Vegas is going to thank us! Gentle Yet Effective - The power head is made up of rotating brushes that gently agitate the upholstery, removing the dirt without distorting delicate fabrics. Aridex can be used to clean virtually all fabrics, including haitian cotton, leather and velvet. Never Sticky Residue - The cleaning bubbles surround and suspend the dirt and encapsulates it, holding it for removal by vacuuming. There is no sticky residue left behind to promote resoiling. 30 Minute Dry Time - The patented wet/dry vacuum does a wonderful job removing stain spots. Usually upholstery and other fabrics will be dry in 30 minutes or less. Luxury Certified Services - We are certified in tile, upholstery, rug and carpet cleaning Las Vegas and Henderson carpet cleaning services. All services provided are backed by our satisfaction pledge.